(NASA) – Four months after the success of Apollo 11, NASA launched Apollo 12 in November 1969. 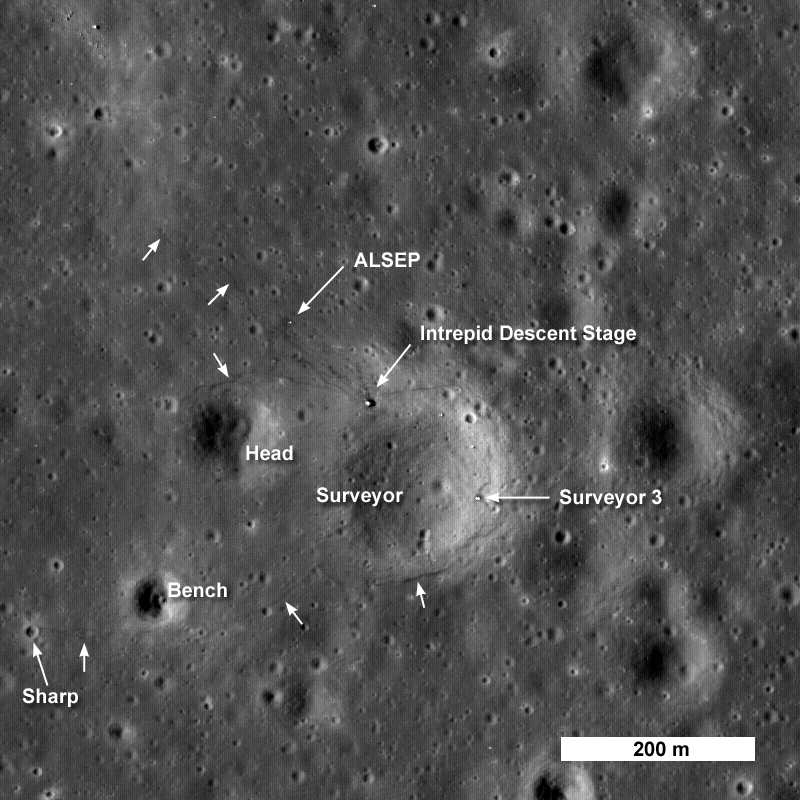 Almost exactly 40 years later, the Lunar Reconnaissance Orbiter has seen the landing site. Engineering and safety constraints in place for these earliest manned lunar missions dictated landing Apollo 12 at an equatorial site on a flat lava plain (known as maria on the moon). NASA selected a site near where the unmanned Surveyor 3 had landed two years earlier, in western Oceanus Procellarum. Astronauts Pete Conrad and Alan Bean piloted Intrepid to a landing within 200 meters of Surveyor 3 on Nov. 14, 1969. During their brief stay of almost 32 hours, the two astronauts performed two moonwalks, each a little less than four hours long. 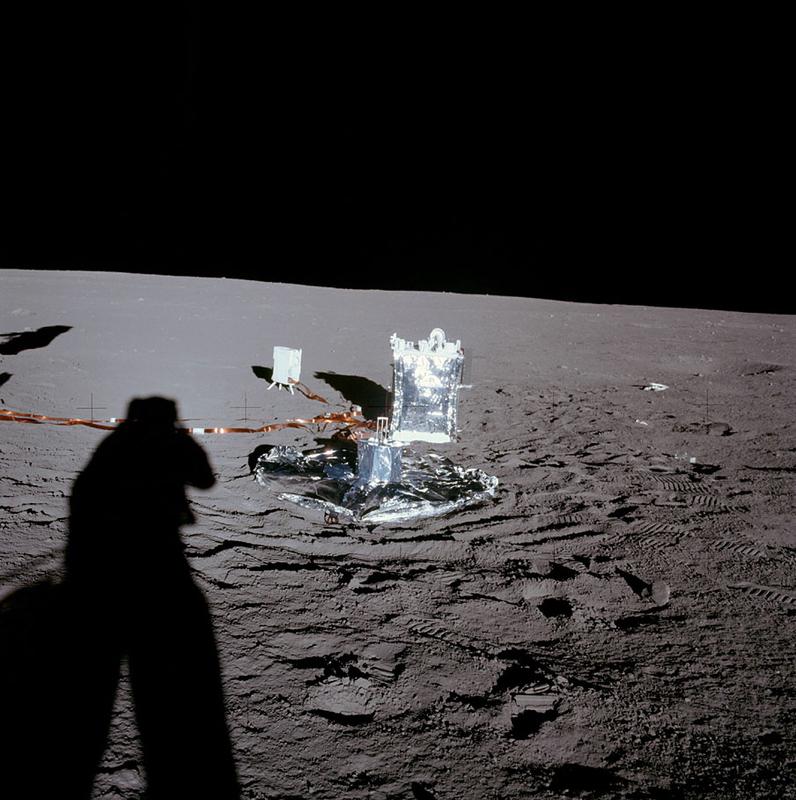 On the first moonwalk, they deployed an Apollo Lunar Surface Experiment Package (ALSEP), which returned scientific data directly to Earth for more than seven years. Next, the explorers headed to the northwest to collect soil and rock samples. In all they collected about about 15 kg (about 33 lbs) of lunar samples on this first excursion. The next day Conrad and Bean headed out on the first lunar geologic traverse. They traveled west, skirting around Head crater, then south to Bench crater. At both locations the astronauts collected rock and soil samples and photographed the interiors of the two craters. After Bench their furthest point (about 400 meters, or 437 yards) from the LM was Sharp crater. Their next goal was a rendezvous with the Surveyor 3 spacecraft, some 450 meters to the East. They extensively documented the condition of the Surveyor and collected hardware samples for terrestrial analysis, providing crucial data for present-day designers of lunar surface hardware. The Surveyor landed on the interior slope of what was later called Surveyor crater. There was some worry that as the astronauts removed parts for return to the Earth the spacecraft might slide downhill, so they always stayed up-slope. 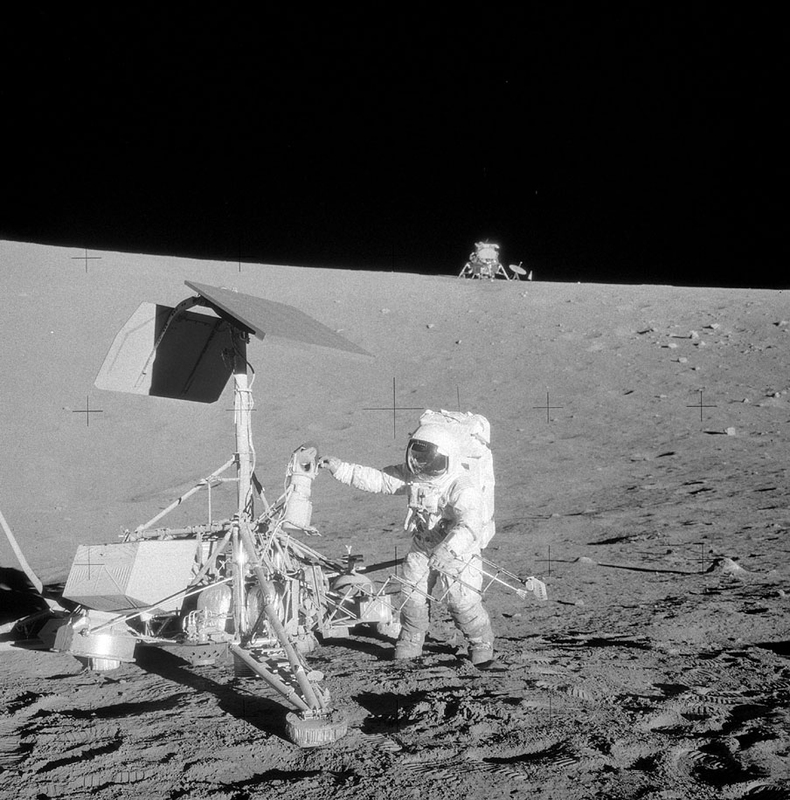 The iconic image of the Apollo astronaut examining the Surveyor with the LM in the background reminds us of the important role that both robots and humans can play in planetary exploration. 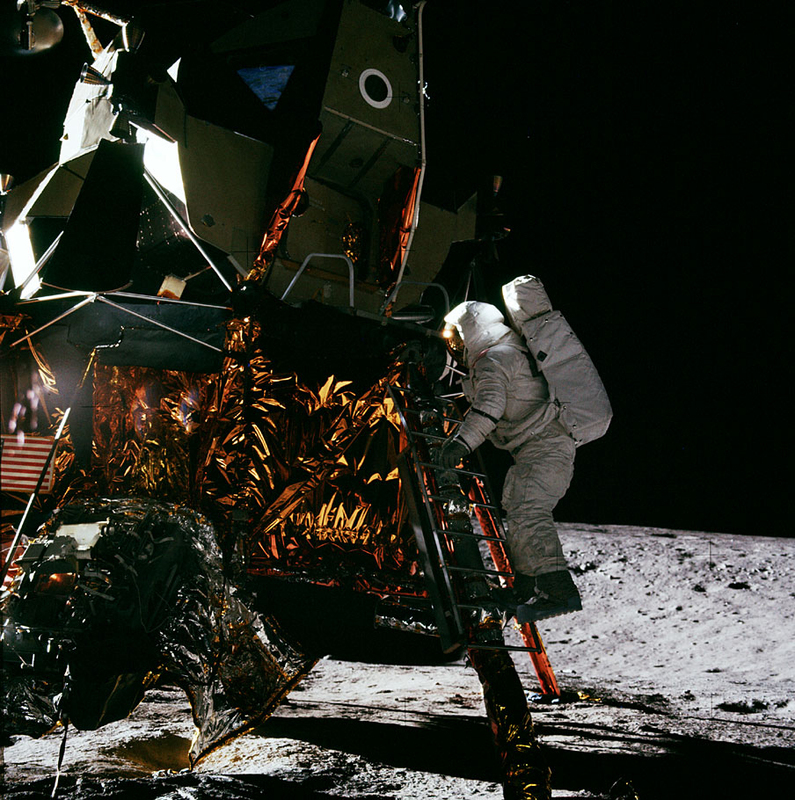 In all, the Apollo 12 crew returned over 32 kg (more than 60 lbs) of lunar samples. From these precious samples scientists learned that the Copernicus crater impact occurred some 810 million years ago; four different types of local basalts were sampled with ages much younger than those from Apollo 11, and a small sample of highlands rock previewed the complexity of the lunar highlands to be sampled on later Apollo missions. All in all Apollo 12 was an incredible success.